Asphalt preventative maintenance in Lakeland, FL is the most cost-effective way to maximize pavement life while minimizing long term financial obligations. Asphalt Preventative Maintenance in Lakeland – Erasmus said, “prevention is better than cure,” and with most things in life, this is proven true. Ignore your teeth, and minor cavities turn into root canals. Cars without oil changes break down on interstates. And asphalt overlooked can lead to major expenses down the road that you may have avoided if you had taken care of the problem sooner. Asphalt preventative maintenance is the most cost-effective way to maximize pavement life while minimizing long term financial obligations. You may not know when asphalt preventative maintenance is required. A little close-up inspection can do the trick. As soon as pavement shows the first signs of wear and tear, such as discoloration, raveling or minor cracking, it may be time to take action. 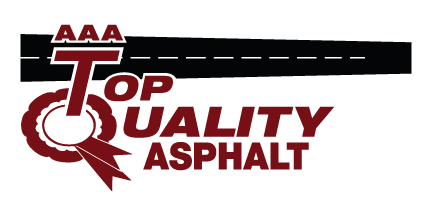 If you live in the Lakeland, Florida area, our experts here at AAA Top Quality Asphalt are here to provide the asphalt preventative maintenance you may be in need of. Repairing or patching the asphalt, sealing the cracks, and sealcoating are just some of the steps we may take to make sure your asphalt is in tip-top condition and can withstand typical wear for years to come. Effective asphalt preventative maintenance is an ongoing process that requires regular monitoring to ensure that rehabilitation strategies are producing the highest-level results. Our experienced estimators can assess your asphalt’s damage and create a customized maintenance program for your pavement. This program will take into account things such as climate, use, and surroundings to make sure that your asphalt is prepared for whatever circumstances may come its way. Contact us today for asphalt preventative maintenance and tips you can rely on!